The Diamond Heights Blvd. Median Project | See something beautiful every day. See something beautiful every day. The Diamond Heights Blvd. 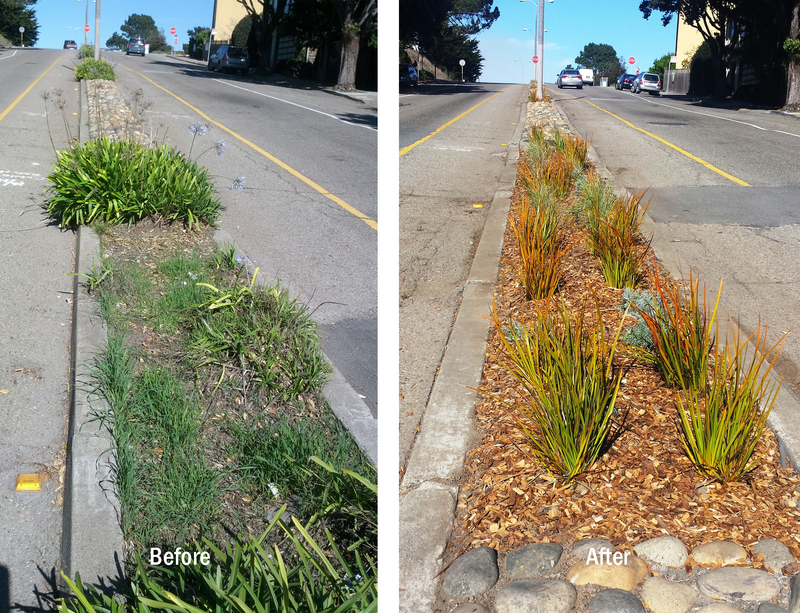 Median Project is inspiring neighbors and friends to replant and maintain the median islands along Diamond Heights Blvd. between Duncan St. and Berkeley Way in San Francisco. Come join the good people of Diamond Heights. We’re making something beautiful for you to see every day. For more information, please call or email Paul Matalucci at 415-826-0445 or paul (at) wordwc (dot) com. Lovely. Thanks for pulling people together to turn another “wasted” space into an integral element (i.e., green, open space) of what makes San Francisco even more beautiful and more of a community/community work-in-progress than it already was. These small yet important step-by-step improvements remind us and our colleagues elsewhere around the world that with the smallest of dreams, big accomplishments are possible. How wonderful/beautiful! And it looks drought tolerant. Good job! Congrats on the Community Challenge Grant – looking forward to seeing you bring this vision to life! I drive by it every morning and LOVE IT! Beautiful job, take it down as far as DH goes. I see they are digging a little past Safeway. I wonder what I will see when that is completed? I can hardly wait! How do volunteer for the planting day? it sure sounds fun!! That’s wonderful, Mark. We’d be delighted to have you! I’ve added your email address to our distribution list. As soon as our planting dates are confirmed, you’ll receive an email notice.